No booking fees. No credit card fees. The best service guaranteed. ‘Save Money – Save Time – Book Online.’ Book next years summer car rental and Save Save Save! supplying Zante's leading Tour Operators and hotel chains. Excellent friendly service that you can be assured of I can thoroughly recommend Eurohire at Kalamaki A great way to make the most of your holiday, we have been visiting Zante since 1996 and have always rented through EuroHire. We now use their “Fly & Drive” service which just makes things that much easier. A great way to make the most of your holiday, we have been visiting Zante since 1996 and have always rented through EuroHire. We now use their “Fly & Drive” service which just makes things that much easier. Great service and care! We got stuck in the sand, I called Babis and after 20 minutes a tow truck arrived and got us out, never asked for anything extra.. very pleasing experience! I recommend! EuroHire was a really good choice. They get out of their way to satisfy every need that you’ll have. for example we’ve changed our car and forgot something in the old one. we’ve got our items in 1 day, brought directly to our hotel. EuroHire is one of Greece’s largest privately owned car rental companies, supplying Zante’s leading Tour Operators and hotel chains. Thank you for showing an interest in our car rental services. You are one of many active customers who prefer to shop for their car hire requirements via the internet. This enables you to immediately take advantage of huge savings whilst booking directly through Zante’s most popular, commited and professional car rental company. Book your holiday car as soon as possible and take advantage of exclusive online limited offers. 'Save Money - Save Time - Book Online'. Book your car online and we will meet and greet you at the airport, provide you with information on how to get to your accommodation and make sure that you start your holiday with confidence. We are always here to support you with our manned helpline, 24hrs a day 365 days a year. We pride ourselves on always being there for our guests. We (the Karydis ATEE Group), are Greece's only car hire company to have been Members of ABTA (ex-ABTA No. V2598), ITAA (Irish Travel Agents Association) and are bonded by EOT (Greek National Tourist Board No. 0428E810000587Y1), ensuring our customers complete peace of mind when booking their holiday car through us. 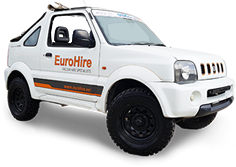 No other company gives more options than EuroHire, book online, by phone or at any of our offices or sales desks. 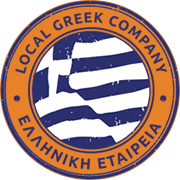 You can find us in either of our offices in Kalamaki (head office), Ambelokipi (airport office) or at our exclusive sales desks (Local Offices). Our rental company uses fully automated booking / delivery systems. We have trackers for all our staff knowing at any time which team member is closest tou you. Our Fastrack system is unique and can cut down delivery time to under 5 minutes, using mini thermal printers and custom intergrated technology. Opt for our 'Fastrack' service and we will cut down delivery time to less than 5 minutes, saving valuable holiday time with an exclusive stress free service. We have been in operation for nearly 30 years, over that period we have dedicated our efforts to ensure excellence in the services we provide for our many satisfied customers, who have chosen to book their holiday car rental through Eurohire, a company they know they can trust. Where do I pick-up my car? What is out daily klm allowance?